Level up your style with some Super Mario Bros. apparel! 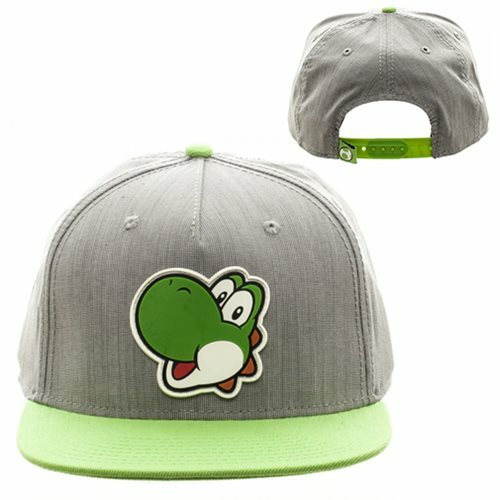 Made of Cotton, this Super Mario Bros. Yoshi Gray and Green Snapback Hat is adjustable to fit most sizes. Care: Hand wash cold, lay flat to dry. Ages 14 and up.